With over 35 years in the field of pre-plate metal finishing and a large variety of equipment and media to offer, we can ensure that your deburring needs are met. Our vast knowledge and experience makes us one of the best finishers in the industry. We processed 19.6 million parts in 2017, turning 95.6% of orders in 48 hours or less. 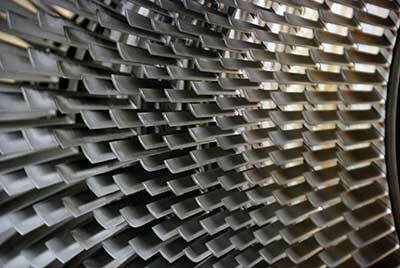 Milwaukee Deburring, Inc. was the first pre-plate metal finisher in Wisconsin to become ISO certified in 1999. 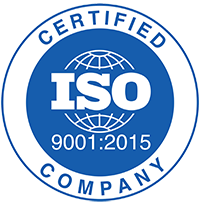 Since then, we have continued our pledge to high quality with the continuance of the updated ISO 9001:2015 revision. Less than 1% of reworked parts in 2012. In our proactive effort to be environmentally conscious, we have installed a state-of-the-art water treatment system. Our process water is treated prior to release into the sewerage system, thereby ensuring compliance with local and federal agencies. If you are currently deburring your parts in-house and don't want to handle the water treatment that comes with metal finishing processes, let us take care of it for you! We are proud to be an MMSD Honor Roll Member. We will work with you to achieve your finishing requirements. We have some of the most competitive pricing in the state.